During the event you can enjoy many activities, including visits to boats, nautical jousting, historical recreations, nautical exhibitions, workshops for children and as a great novelty we will have captive hot air balloons, from which you can enjoy of the best views of the event. In addition to the second edition of the Marinero Market, musical performances and conferences every day. 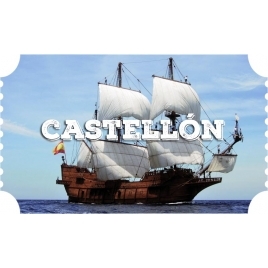 All this will turn the Port of Castellón and the Grao into the best focus of attraction both for residents and tourists who want to enjoy the great festival of the sea.